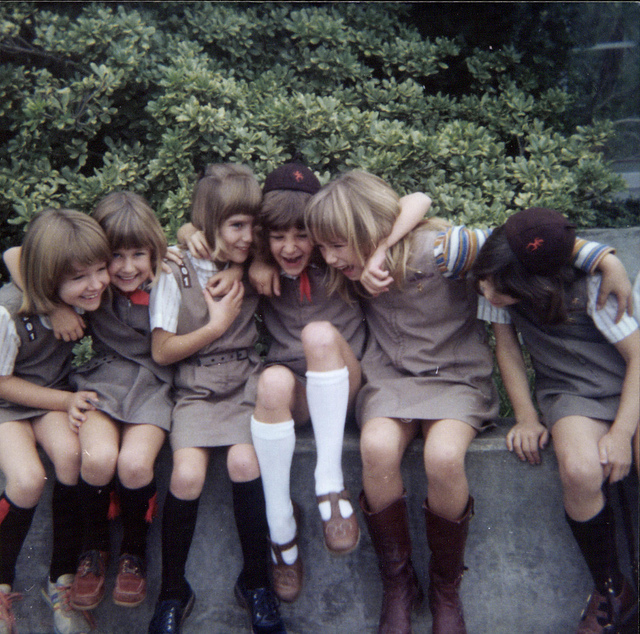 Half the Girl Scouts and Brownies in the 1980s (probably the 1970s, too) were named Jennifer. I’ve only been able to turn up a few pictures of them though. I participated in Brownies and Girl Scouts throughout most of my school years and up until 10th grade. I loved wearing the orange and gold flags on my knee socks as well as the ties at the neck and brown and green beanies. The girl in the picture that is third from the left is named Jennifer. This picture is made available from Daily Foolishness on Flickr. Creative Commons License applies. I was a Brownie for just one year, and I don’t remember a great deal about it either way. What I do remember is having to go to my Brownie meeting one afternoon even though I’d gotten home from school to learn the president had been shot. Somehow it seemed like Brownies should be cancelled for that!